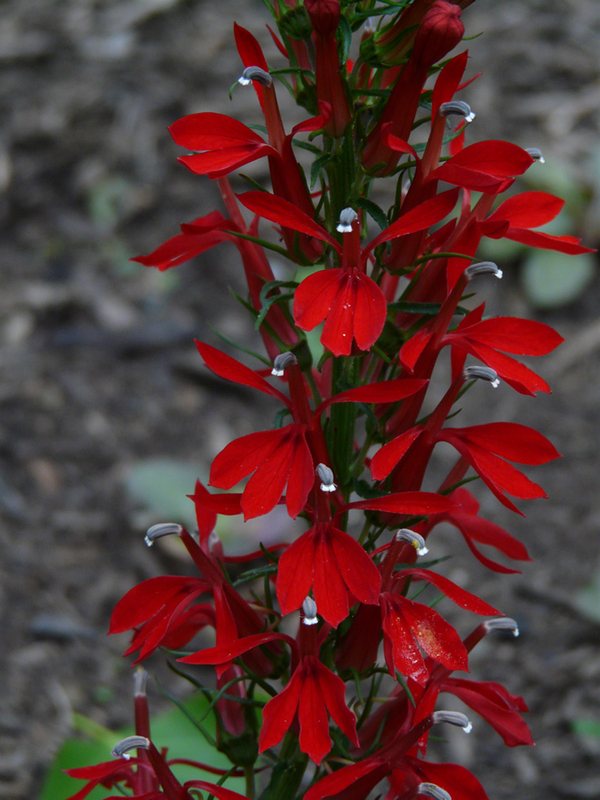 Cardinal flower is recognized by its striking spires of red summer flowers contrasted with the dark green leaves. They grow best in moist, fertile, humus-rich soil and in sun or partial shade. 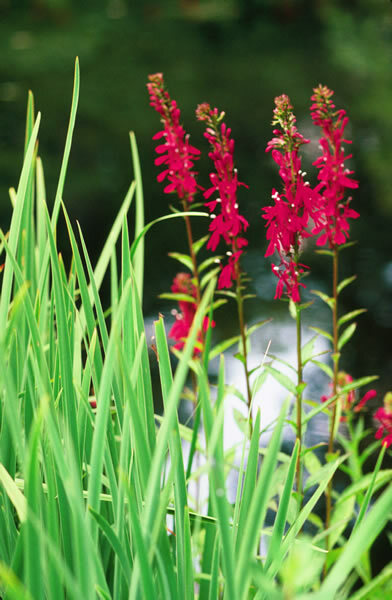 They can tolerate flooding but not drought making them suitable for waterside plantings or damp borders. They will require regular watering if used in a perennial bed. Cardinal flower blooms from July to September throughout the eastern half of the US. It has a striking, deep red blossom which is pollinated by ruby-throated hummingbirds. In spite of its spirited color, the plant contains poisonous alkaloids and ingestion has caused deaths in humans.